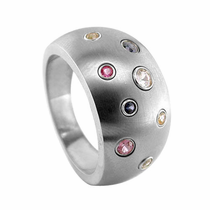 Titanium Sapphire Rings - a colorful palette of sparkling sapphires mounted against the stark contrast of rich metallic texture of titanium. Bold yet beautiful. Fun yet sophisticated. 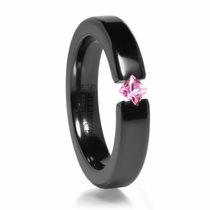 Want something a little different than the traditional diamond? 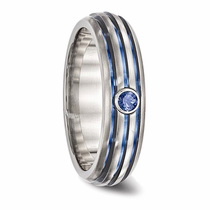 A sapphire adds the same level of sparkle and shine plus a pop of eye-catching color, which is perfect for a fashion-forward woman. 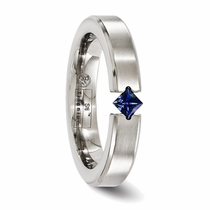 This selection of titanium sapphire rings combines that stylish look with one of the most durable and long-lasting metals. 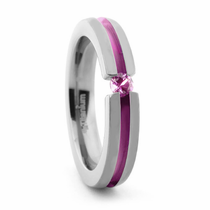 Scratches, bumps and dings are no match for the extra-hard titanium surface, which ensures that the ring looks good for decades to come. 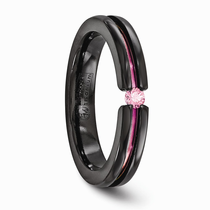 And when it comes to choosing a ring that you’ll wear every day for the rest of your life, that kind of durability is a must-have. 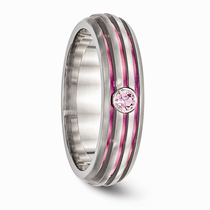 One of the best things about sapphires is that they come in both blue and pink tones. That makes it easy to find a style that suits your tastes. 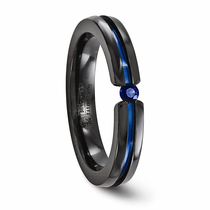 Plus, the titanium bands provide a stark contrast that really highlights the sapphire’s color. 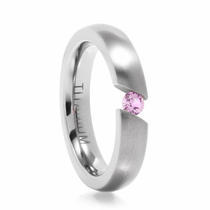 Customers at Titanium Jewelry are particularly fond of the ultra-modern designs offered at Titanium Jewelry. Whether you’re looking for an engagement ring or a wedding band, these sapphire rings offer a refreshing change from the traditional looks. 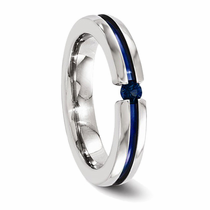 Rather than the usual solitaire ring or plain wedding band, you get something with a subtle pop of sparkle that’s inset in the band itself for a streamlined, chic look. 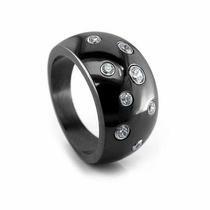 It’s sure to make you stand out from the crowd while also making you proud to display such a distinctive style on your finger. 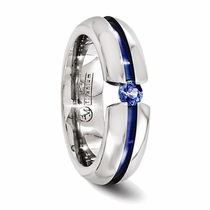 Browse the full collection of titanium sapphire wedding bands for women at Titanium Jewelry to find your perfect fit. From stackable rings to domed rings and beyond, our varied selection allows you to get something that feels right at home on your hand. 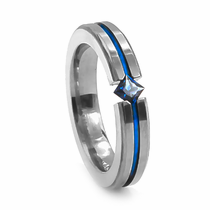 Plus, the prices are much more budget-friendly than most diamond rings despite the fact that the titanium band makes them far more durable. That’s what we like to call a win-win. 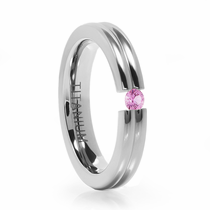 Customer rating for Womens Sapphire Rings by Titanium Jewelry: 5 of 5 based on 25 customer reviews.